The Walking Dead will return this February and there is a new mid-season poster that gives us a little tease until then. 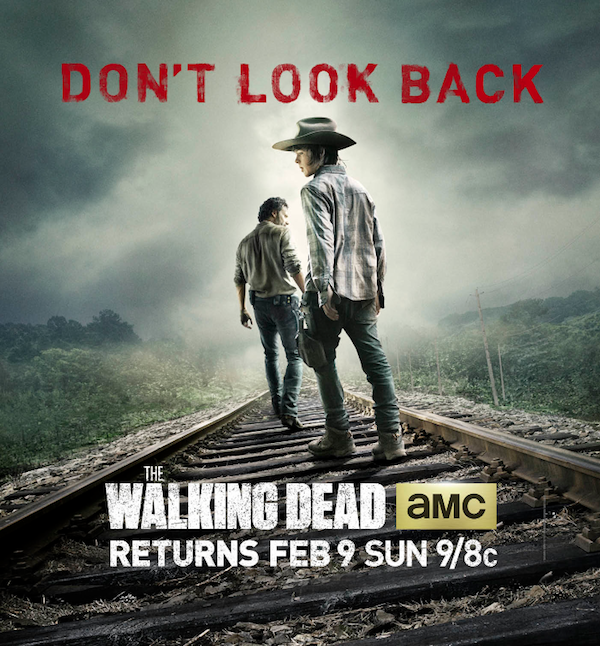 This new poster shows Rick and Carl grimes heading down some railroad tracks with the phrase, “Don’t Look Back”. If you’re a fan of The Walking Dead then you already know how the season 4 mid-season finale ended, and that the prison is no more. The final attack by The Governor left the prison in a state where Rick, and his group, were forced to flee. There will be many changes when season 4 begins again this February. Rick and his group have been split up, the prison is now gone, Hershel has died, and now it’s time to move forward. 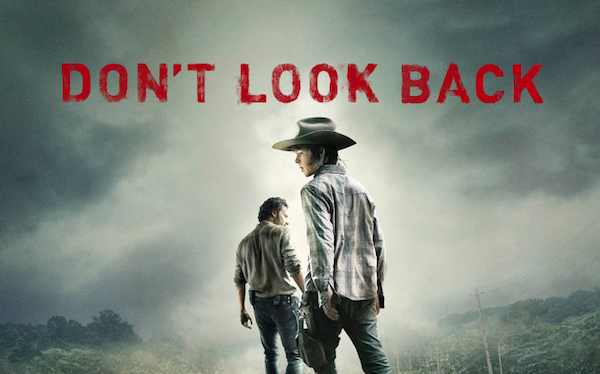 In the season 4 mid-season finale, Too Far Gone, Rick says the following to Carl, “Don’t look back, Carl. Just keep walking.” The poster implies that it’s time to move forward and leave the prison behind. According to Inquisitr, the poster is putting a spotlight on Carl Grimes. Since Rick’s son will probably have to step up his game in order to take care of his injured father, there’s a strong possibility that Carl could take center stage in a few of the upcoming episodes of The Walking Dead. The latest poser released for the show also suggests the boy is essentially coming into his own. The Walking Dead will be back in just over a month, and everyone is dying to find out what will happen next to Rick and the group of survivors.